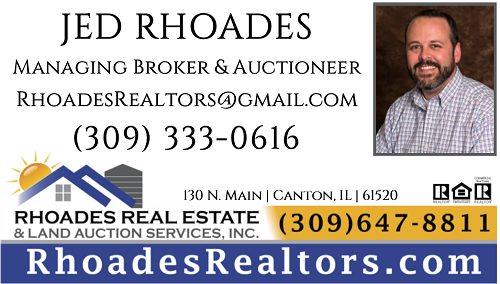 Contact Rhoades Real Estate today, for a no cost-no obligation consultation concerning your real estate needs. The firm has a full stable of qualified real estate brokers who can assist you at every step of the process in selling a home, farm or commercial property. Likewise, when you are in the market to buy a home, farm, or commercial property, we can assist there, too. Contact our office, or one of our agents directly, anytime you have a real estate question – we’d be more than happy to help. "I have personally seen their work – extremely professional, conscientious, and no one will work harder or smarter for you." 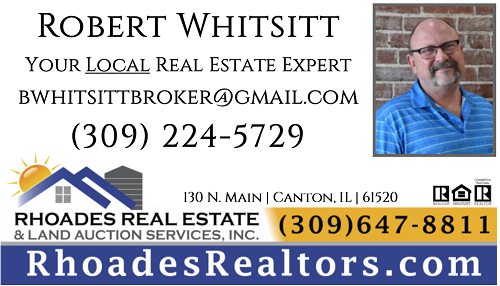 "I know who to contact in your area for real estate assistance… and I look forward to working with you in the future." "All we had to do as sellers was sit back and watch… on behalf of the whole family, I want to say "THANK YOU!!" "I want to commend you all for the outstanding work you did in marketing our farm. You were very professional in the way you handled every aspect of the transaction. It would be my pleasure to recommend you to anyone considering a farm sale." "…an excellent communicator who places himself in your shoes in order to gain perspective. I’m happy to recommend him without reservation." It might be a little old fashioned, but we at Rhoades Real Estate believe that we cannot truly be successful if we aren’t giving back to the communities in which we live and work. Because of that, we try to live by the “Golden Rule.” A part of every dollar that comes in the door at Rhoades is being reinvested back into our community through charity support and community sponsorships. And over the years, thousands of dollars have been put back to work in our communities in support of our communities. After all, our business is a people business – and we care about the people in our communities! 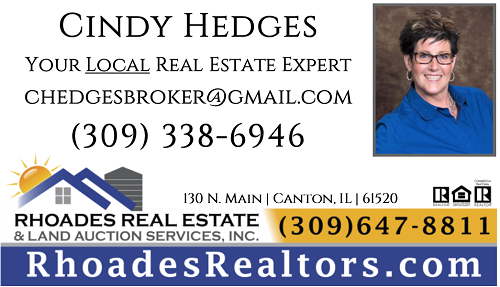 Why Choose Rhoades Real Estate? At Rhoades Real Estate, our goal is to re-define the experience with a real estate company and agent. We know there are a lot of options when it comes to choosing who to work with to sell your home, farm, or commercial property. 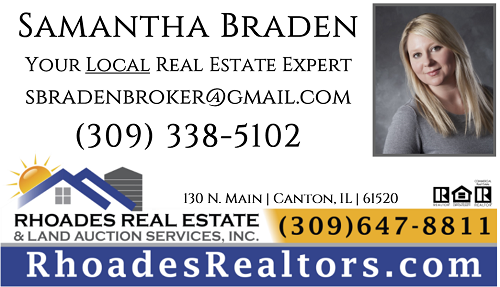 In fact, there are more than 70,000 licensed real estate brokers and salespeople in Illinois! And that’s why – up front – we want to give you our most basic reasons for why we’re the better choice. that is, to have a happy client when a transaction is closed. If, after your experience with us, you wouldn’t refer us to your family and friends, then we will have come up short. 2. We know the market. We work in a relatively small geographic area, and we are focused specialists in our area. If you need heart surgery do you go to a cardiac surgeon or a general practitioner? Of course, the surgeon! So why would you trust the sale of significant real estate assets to someone who isn’t a specialist in the area or field? 3. We work to get you more money. We don’t just throw your property on the MLS and hope for the best. We go to work for you. 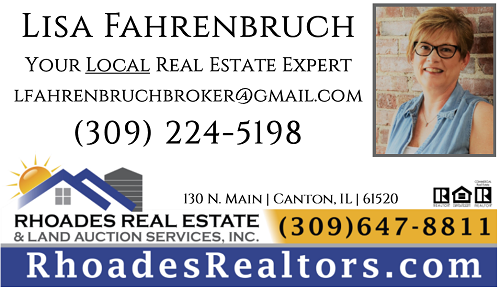 Each Rhoades Real Estate agent has extensive contacts within the communities we serve – and we work our contacts. 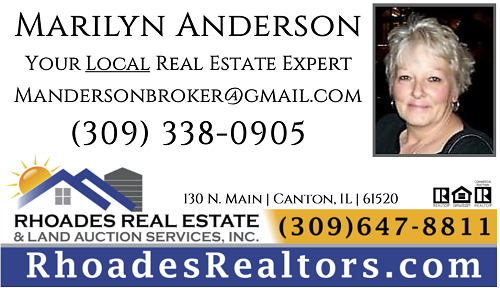 We are members of the Peoria Area Association of Realtors MLS system, and we expose your real estate to thousands through it. We also advertise in local and regional print media publications. And importantly, we have a distinctive presence on the Internet with our own proprietary website, as well as frequent inclusion on numerous other websites (depending on the type of your property). 4. We are honest and trustworthy. No explanation needed – our reputation depends on it. 5. You will be treated with respect. There’s nothing more frustrating than a salesperson (of any kind) that treats you rudely or otherwise inappropriately. Respect is a basic part of a quality relationship – and we value our customer and client relationships! 6. WE COMMUNICATE! If we took a poll of what drives real estate consumers “crazy” about most real estate agents, we’d bet it would show the lack of communication between the agent and their client after a listing is signed. How frustrating!?! 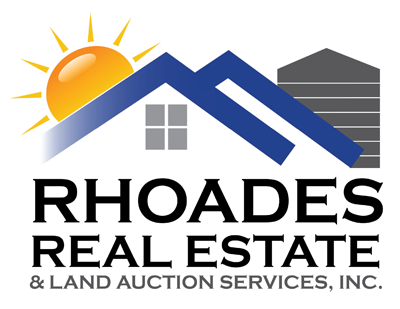 If you are a Rhoades Real Estate client, we strive to keep you informed at every step through written updates, phone calls, and personal meetings. This includes delivering the facts – good, bad, or otherwise! And if you ever have a question, your agent (or an associate) will always be available. The bottom line is that we strive to offer our clients unparalleled service and a genuinely positive experience. 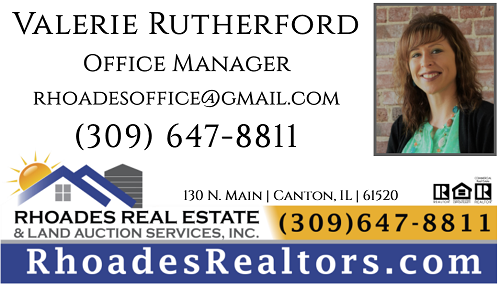 We want your business – and we hope you’ll consider Rhoades Real Estate!